Richard is a student at Hill Elementary school in Austin, Texas. He earned the nickname, Mr. Pi, after memorizing over 800 digits of pi! But he didn't stop there... by Pi Day 2015 he was up to 2,206 digits of pi and has plans to memorize even more! 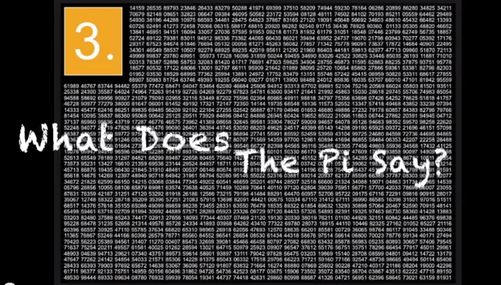 It all started on Pi Day 2014 when he responded to an optional homework assignment to memorize and recite digits of pi. He made it to 255 digits. A week later he was up to 276 digits and recited them at an assembly for the whole school! Richard continued to memorize more and more digits of pi! Richard recites pi digits at the Hill School morning assembly. Richard recites 2,206 digits of pi!